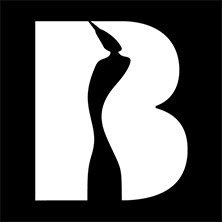 The first ever Brit awards started in 1982 and in the beginning it was named differently under BPI. The Brit awards only received its current name in 1989 as the UK’s highest profile music awards. During the early years it was a live broadcast, but it proofed rather disastrous when presenters did not rehearse as noticed during the 1989 disaster with Mick Fleetwood and Samantha Fox. The bad broadcast caused organisers to make it a recorded show only to be broadcasted on the next evening. ITV were the first to televise the Brit Awards live in 2007 and continue to do so with Russell Brand the awards presenter. During the same time the industry also dropped three of its previous awards which were Best Pop Act, Best British Urban Act and the Best British Rock Act. The statuette continuously changes and some of the best architects and British designers have a hand in personifying Britannia with Zaha Hadid the latest design for 2017. Until 2010 the awards were hosted at Earls Court, London, with the O2 Arena becoming the ceremony hosts since 2011 to date. Top performers and presenters have always been part of making the awards a success with 2017 no different. Declan Donnelly and Anthony McPartlin that acted as duo hosts for the 2015 and 2016 awards are replaced by non-British crooner, the Canadian, Michael Bublé.it is a first with British stars including Ru Paul and Kylie Minogue as other previous year’s presenters.